Where did January go??? 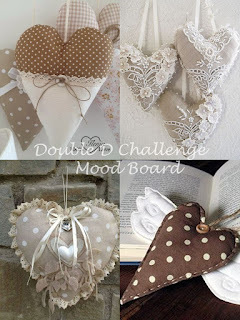 I know that it was here as we did two challenges, but here is it February and it is time for another fun challenge at Double D. This is so appropriate for February as our theme is Hearts. Check out the mood board. Lots of hearts to be inspired by and you can also use your own inspiration like I did. I love red hearts and that's what I went with. 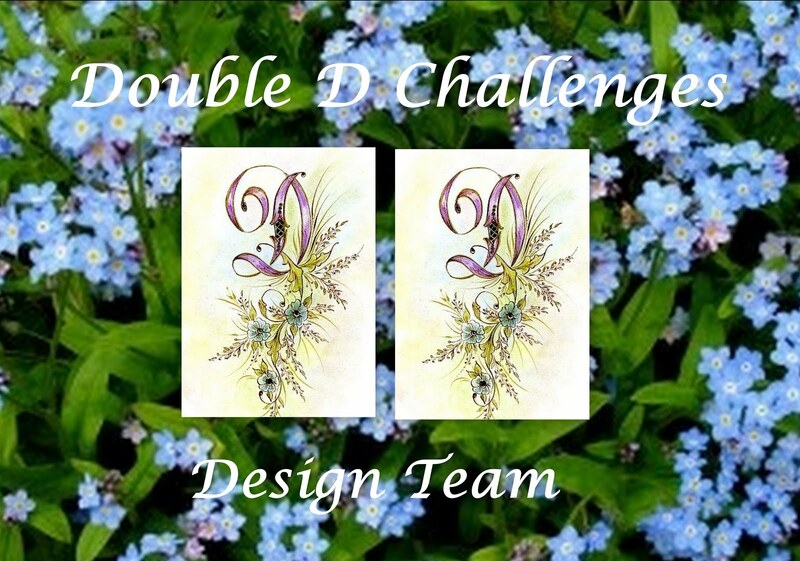 Here is my card and matching envelope for you. This one went together pretty fast as I had an idea in my head and that is half the process. I did the snowflake stencil with white paste on white cardstock. Then cut the Hearts Parade from Simon Says out of red foil paper. That was adhered to the white panel with some foam to raise it up and give more texture. The sentiment is from Technique Tuesday Bleeding Hearts stamp and framed with the red foil as well. On my envelope, I die cut the Memory Box Heart rays die and put some white paper under it. Here is a better look at that. This card will be sent to a special guy in my life, my grandson Jack who says that he is not too old to get one from Grandma. Here is the prize that you could get for winning this challenge. I hope to see you there! Remember to see what team Diane has done for your inspiration. 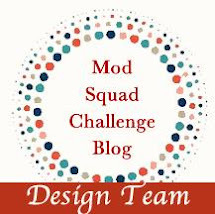 You can find them here at Double D Challenge. Stunning, Barb! The simplicity and elegance are so gorgeous! 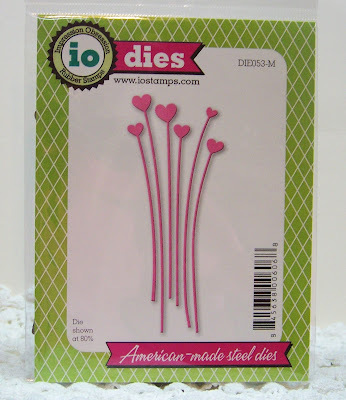 I love the embossed corner above the string of hearts. WOW just beautiful Barb and I LOVE the matching envelope! Aren't you clever! Well done! Oh, this is gorgeous! I love the envelope too. I need to try and do a heart card so I can join this challenge. I love the colors on the mood board. Love the look of this Barb and the way you incorporated the envelope too! Fabulous job! XOXO...just a few more days! I love this card and envelope.The design is clean and simple but so elegant. Very sweet card and I love the matching envelope. I'm trying to get my Valentines finished. Also, had three birthdays this month. I always seem to be behind. Barbara, that's a gorgeous card AND matching envelope. Beautifully done, love the clean and simple design. Very pretty. Love the row of hearts and the matching envelope. What a beautiful clean and simple design!! I love the texture, and decorating the envelope too is GENIUS!!! This is just FABULOUS, I MUST pin. Visualizing the card is 3/4 the work, isn't it? The longer I can think about a card before I start, the quicker it will come together. Barb, your foil hearts on CAS white are so pretty! It came together beautifully! Right away I was drawn to the envelope. I LOVE that! This CAS card come together beautifully Barbara. Lovey textured background and the red foiled hearts are so pretty! 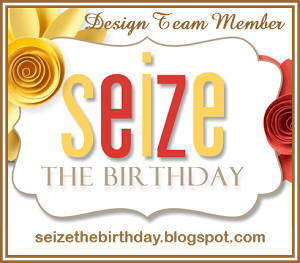 Seize the Birthday- Make Us Laugh! Creative Confetti - Color it up!